In the Catholic Church, marriage is more than a natural institution; it was elevated by Christ Himself, in His participation in the wedding at Cana (John 2:1-11), to be one of the seven sacraments. A marriage between two Christians, therefore, has a supernatural element as well as a natural one. For Catholics, weddings must take place in the church, with a priest or deacon presiding. Variations from this (alternative venues for instance, require prior permission from our Archbishop). 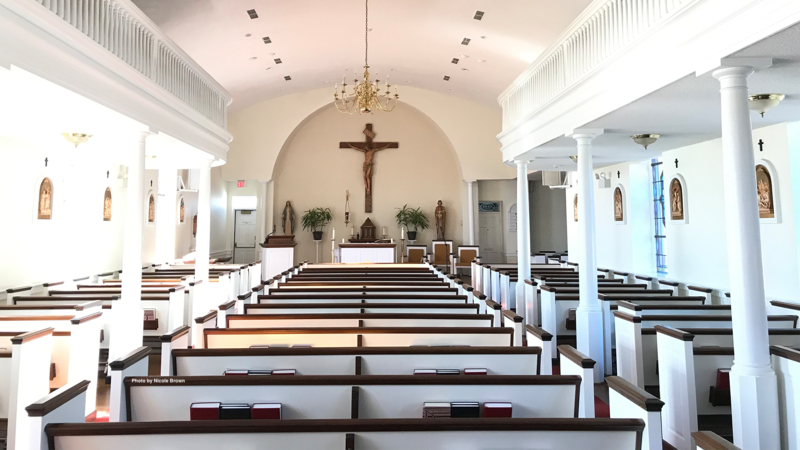 St. Joseph’s welcomes any Catholic who would like to celebrate the Sacrament of Marriage in our beautiful church. Because preparation for these celebrations can be involved (Pre-Cana, wedding rehearsals, etc. ), we ask that engaged couples begin their arrangements at least 6 months in advance of their wedding date. Interested couples are asked to call the office (301-609-4670) to make an appointment with the pastor. Further information on the Sacrament of Marriage is also available through the Archdiocese. Divorced Catholics curious about or interested in pursuing an annulment may find the process very healing. They or any Catholics married outside the Church are encouraged to contact our pastor to have your marriage blessed and recognized by the Church.